Expert Advice from Top Speakers to Build Your Speaking Career. Revealed: the Secrets of How to Build a Successful Professional Speaking Business! 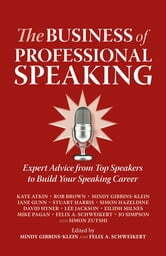 If you want to be a successful speaker, this book will take you there! 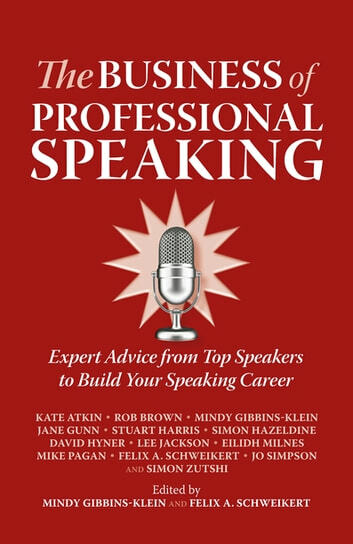 This unique collection of tips and strategies from some of the UK's most successful speakers will show you exactly how to: become known as a 'speaker of choice', make more money every time you speak, generate lots more speaking engagements, deliver more compelling, entertaining speeches, featuring the collective wisdom of seasoned speakers who have been there and done it, this book contains all the secrets to make you one of the highest paid and in demand public speakers around!